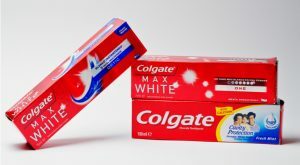 Colgate-Palmolive Company (NYSE:CL) released its earnings report for the first quarter of the year on Friday. During the first quarter of the year, Colgate-Palmolive Company reported revenue of $4.00 billion. This is an increase over the company’s revenue of $3.76 billion reported in the first quarter of 2017. However, it wasn’t able to match up to Wall Street’s revenue estimate of $4.02 billion for the period. Colgate-Palmolive Company notes that revenue from Latin America for the first quarter of the year was only up 0.5%. This was unfortunate for the company as the area makes up 23% of its total sales. Despite poor net sales during the quarter, Colgate-Palmolive Company was still able to bring in earnings of 74 cents per share. This is better than the earnings per share of 67 reported in the same period of the year prior. It also just barely comes in above analysts’ earnings per share estimate of 73 cents for the quarter. Colgate-Palmolive Company earnings report for the first quarter of 2018 also includes net income of $634 million. This is up from the manufacturer of household goods reported net income of $570 million for the same quarter of the previous year. Operating profit reported by Colgate-Palmolive Company in the first quarter of the year was $983 million. The company’s operating profit from the same time last year came in at $912 million. CL stock was down earlier today on the revenue miss, but has since recovered and is up slightly as of Friday morning. This entry was posted in Best Stocks on April 30, 2018 by admin.